The National Air company «Uzbekistan Airways» was founded on January 28, 1992, as a part of the governmental management of civil aviation. The airline company provides development, coordination, and realization of the air transport policy within the territory of the Republic of Uzbekistan. Safety, stability and comfort are the main criteria of its activity. The Uzbek civil aviation, with the support of the country’s President, developed a systematic, well staged and clear strategy with a view to promote and fulfill their program on fleet renewal. The program also included the modernisation of the entire ground infrastructure and the strengthening of the National Air company’s staff wich provided quality and safety services not only in the sky but also on the ground. The fleet of the National Air Company «Uzbekistan Airways» consists of modern and comfortable aircraft such as the Boeing-757/767, the Boeing-787-8 Dreamliner, the А320 and the IL-114-100, as well as cargo freighters like the Boeing-767-300BCF. The National Air company of Uzbekistan performs scheduled flights to more than 40 cities in the world – to countries in Europe, Asia, America and Japan. The airline company has representative offices in 25 countries in the world. 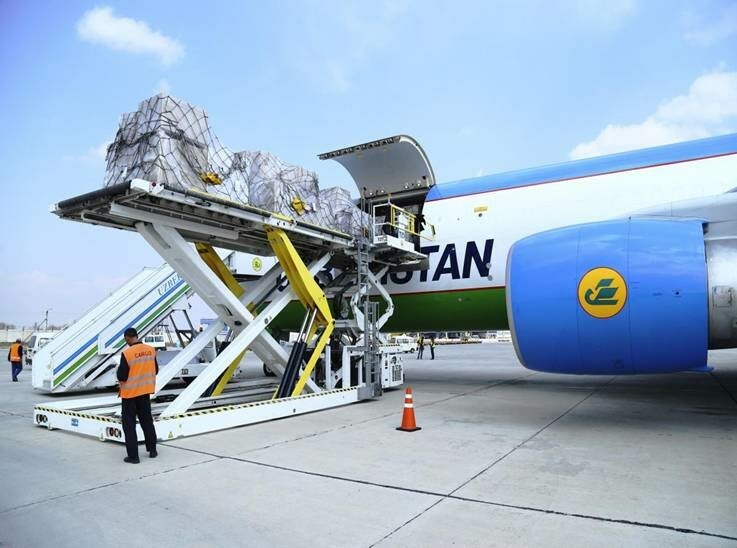 Two times per week, HY Cargo operates a direct flight from Charles de Gaulle Airport in Paris to its hub in Tashkent. The two flights are in direct connection to multiple destinations in Central Asia, South East Asia and Japan.